Last week, Wadi Dela opened the first of their five planned clubs for Nairobi Kenya. Adel Samy, the Wadi Degla chairman, spoke of the rapid pace of their investment, thanks to their local partners, and that all the buildings and sport facilities had come up in just nine months, transforming a swamp area into a modern sports and lifestyle club for members. He’s been marketing Kenya for several years, encouraging other investors and spoke at the TICAD business summit last month, to Japanese investors. 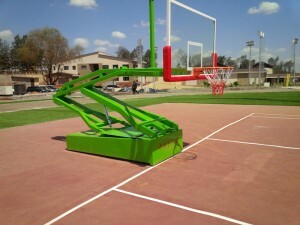 Other clubs are planned for Uganda, Nigeria, Cote d’ Ivoire, Rwanda, Dubai, and the GCC. William Kabogo, the Kiambu Governor, said his government had approved the club application in a week and urged other to set up in Kiambu where they already have an investor pipeline of $3-4 billion. They plan a one-stop investor centre which will be showcased at a unique county summit next month. Earlier in the day, the group directors met President Kenyatta and sports minister Arero Wario said that the President was the first member at the Wadi Degla Kenya clubs, and that Kenyans needed to diversify into more sports in order to keep winning olympic medals. Wadi Degla will have professional sports academies including Swim America, WD Tennis, Wakiihuri Athletics, Arsenal Soccer, and Darwish Squash. The Runda club will have squash, handball, volleyball, tennis, basketball, soccer pitches, and several swimming pools for training and kids. Other leisure and recreational facilities include a gym, (Angsana Thai) spa, dancing school (salsa & tango), r restaurants, bars and lounges. This entry was posted in Egypt, Investing in Kenya and tagged Wadi Degla on October 17, 2016 by bankelele. 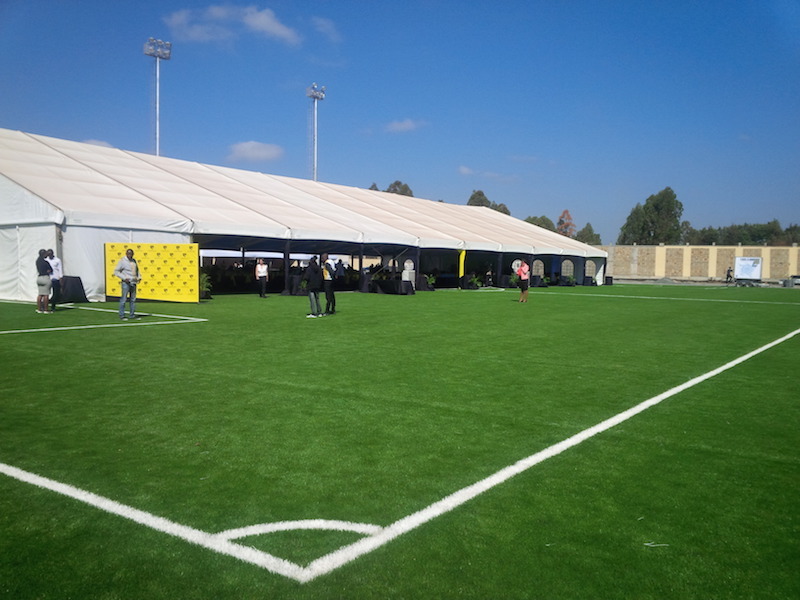 This week, Wadi Degla will open their first facility in Kenya, on 10 acres at Runda, about 20 minutes away from Nairobi, and just off the Northern bypass. 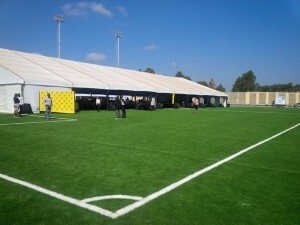 The facility is busy now with visitors of media and members signing up inside the offices, while outside, crews of workers are laying the artificial soccer pitch, the multi purpose fields, walking and running tracks, several swimming pools, installing gym equipment and completing several restaurants. They have also been in Kenya since 2005 in the telecom sector. After Runda, Wadi Degla will have two clubs at Migaa (off Thika Road), one at Karen (at the former Mamba Village) and one on Mombasa Road. The Runda one will have the largest gym in East Africa which has enough Cybex weights and machines for 200 people to use at a time without waiting or sharing. 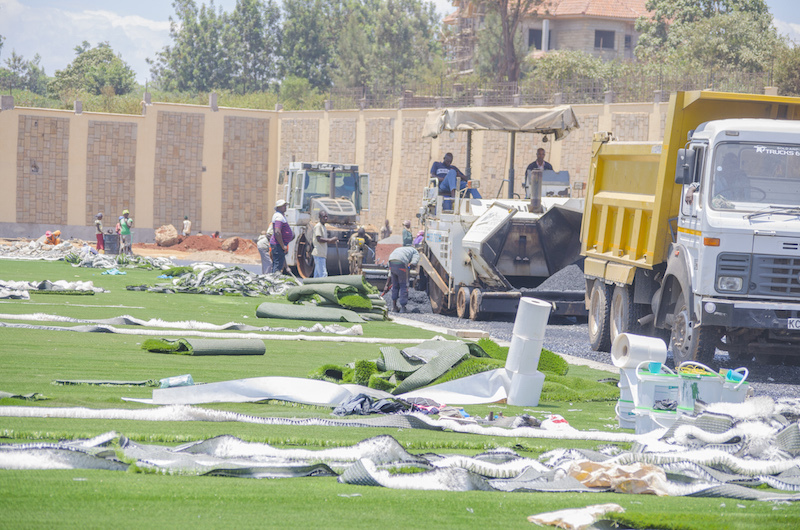 There will be similar facilities at the other clubs, but in addition, at Migaa will have an 18 hole golf course and an Olympic-size (50 metre) swimming pool, while at Karen there will be facilities to accommodate horses. Their goal is to have several Wadi Degla club facilities in Nairobi within a half hour of their members. Eventually they plan to be in other towns, and countries (Uganda, Tanzania and Rwanda). A member of the club gets to use any of the clubs anywhere in the world – so e..g any member visiting or caught in traffic, can stop and exercise, use a gym or get a massage at the nearest Wadi Degla club. The Runda club is part of Kshs 2 billion investment and members who visit and sign up ahead of the official opening can get a discount or arrange payment plans. This entry was posted in Egypt, Investing in Kenya, Kenya real estate and tagged Wadi Degla on October 9, 2016 by bankelele.